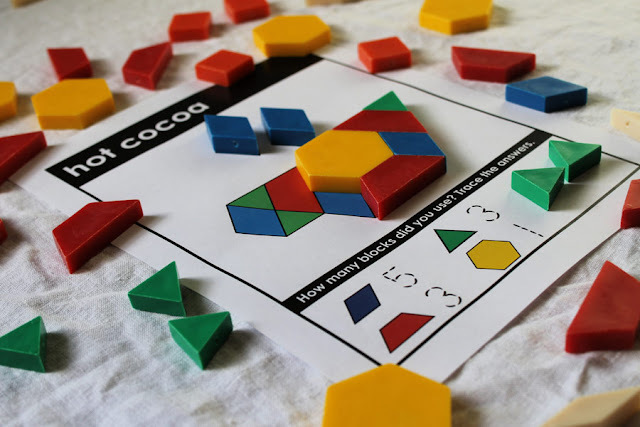 Playing and learning with pattern blocks is a great way for young children to explore STEAM and math concepts, enhance visual discrimination, and develop fine motor skills. This set of 4 Seasons printable mats are perfect for preschool and kindergarten kids, and comes with 2 levels of difficulty. Pattern blocks are a fun way for kids to practice math concepts (colors, shapes, patterns, counting, etc.) as well as visual and spatial thinking, creativity, and fine motor skills. Most of all, it's fun! Kids should have the opportunity to play with pattern blocks in structured and unstructured ways. These printable mats are great for structured play, resulting in effortless learning! This set includes a total of 64 printable mats in 2 versions. (32 mats in easier color version, and 32 mats in black & white with outlines.) There are 8 Spring mats, 8 Summer mats, 8 Fall mats and 8 Winter mats for each version. This is perfect for differentiating in your classroom with children of different skill levels. Or if you're a parent, this pack will grow with your child as s/he develops and moves on to the more difficult mats. 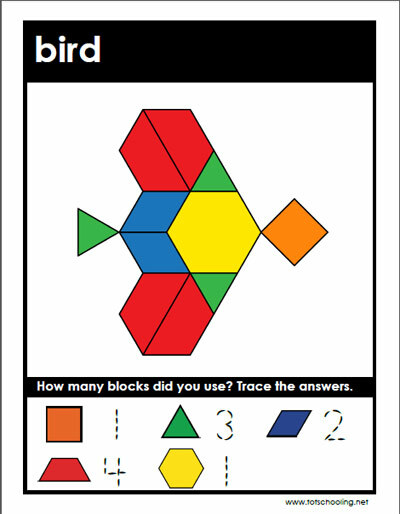 Kids will place the correct blocks by looking at the colors and shapes. Then, they can count each type of block and trace the numbers at the bottom of the mat. It is more difficult to determine which blocks go where. 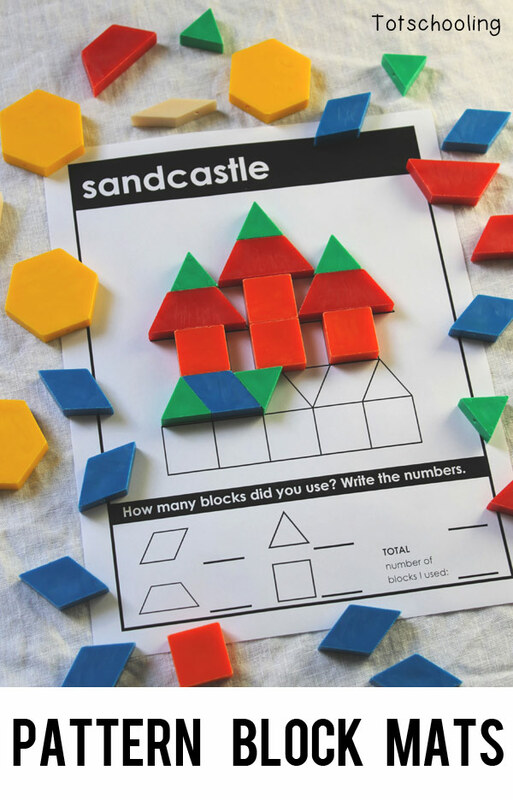 The child can also count the number of each block used and write it at the bottom, as well as write the total number of blocks used. 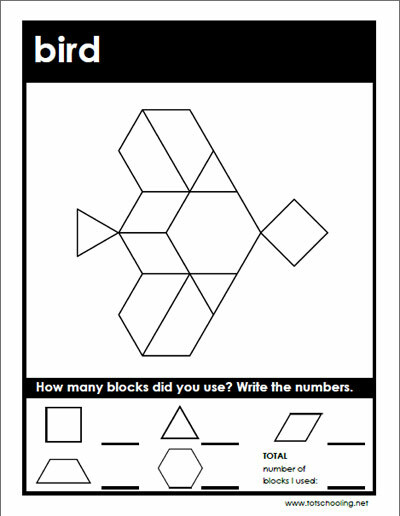 This is a great math game that will help your child develop. I know another cool service, where you will find excellent examples of essays at https://tooly.io/essay-examples/ , I think you should look at it, I will be happy to help you, I work as a consultant there. Pattern Block Mats is great game. ~It will help parents to keep their kids busy.